Africa is a vast continent, offering endless possibilities for a safari. You can see the Big 5 animals in South Africa, go gorilla trekking in Uganda, or choose a game drive in Tanzania. 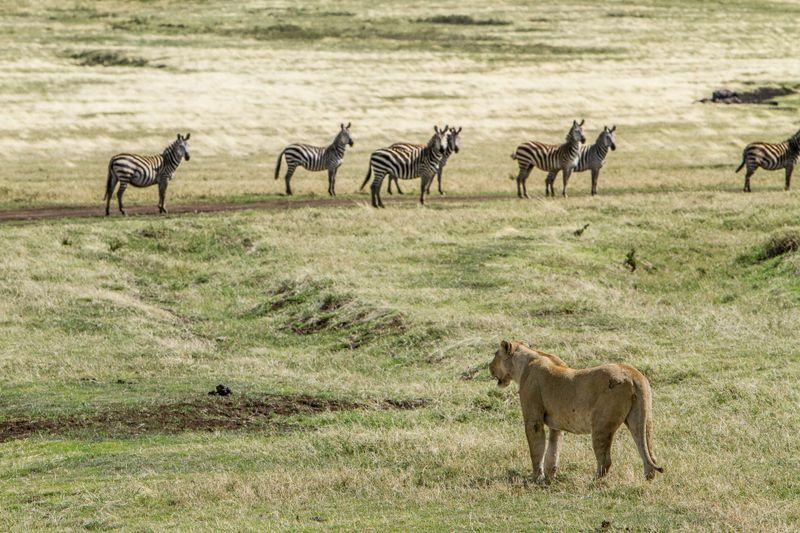 When it comes to picking the right country for your safari, there are many variables to consider, including what you want to see, how you’d like to travel, who do you travel with, and how much you are willing to spend. In this article, we are looking at eight African countries and the safari holiday options they offer so that you can decide which suits you better. 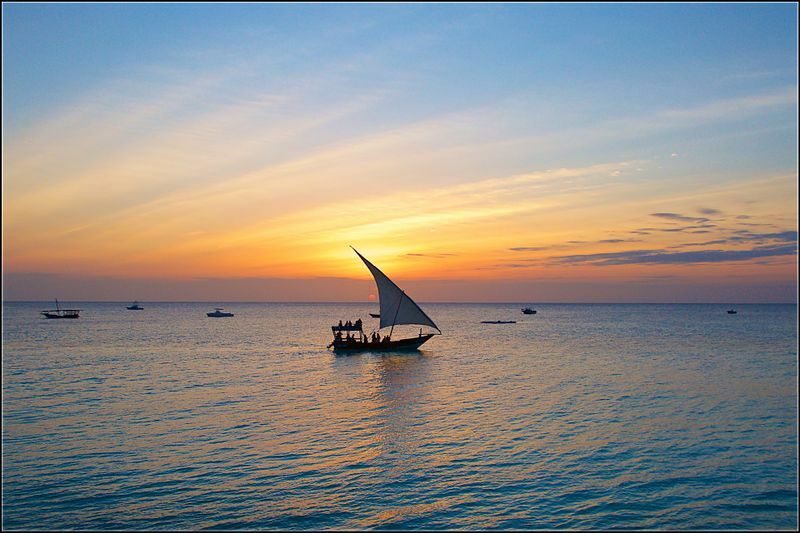 An affordable safari destination, Kenya offers breathtaking natural beauty. Home to wildlife safaris, it has some of the most accessible game viewing in the world and is particularly known for the Big Five. Kenya is a great country to explore on a self-driving safari. However, please note that it can be a challenge for those who are not used to the often-crowded roads. Sometimes, the roads are dusty and are plain terrain, especially in the national parks. 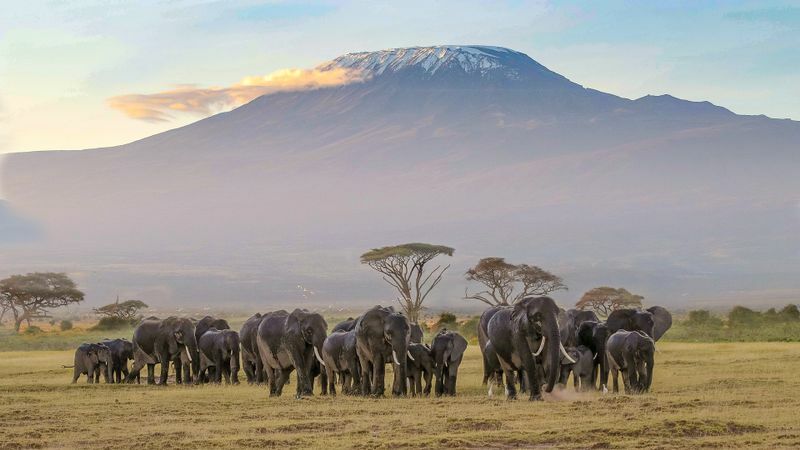 Amboseli National Park can be easily reached from Nairobi and is a favorite among photographers for the views of elephants with the Kilimanjaro backdrop. Masai Mara is the country’s most visited national reserve and is famous for annual Great Migration river crossing (June to October) and the vast plains. It is also where the chances of seeing the Big Five animals are high. Lake Nakuru National Park is best known for the flamingos nesting around the shores. Best time to go on a safari: January to February & June to October. Planning to go on a safari in this beautiful country? Read about the top national parks in Kenya! 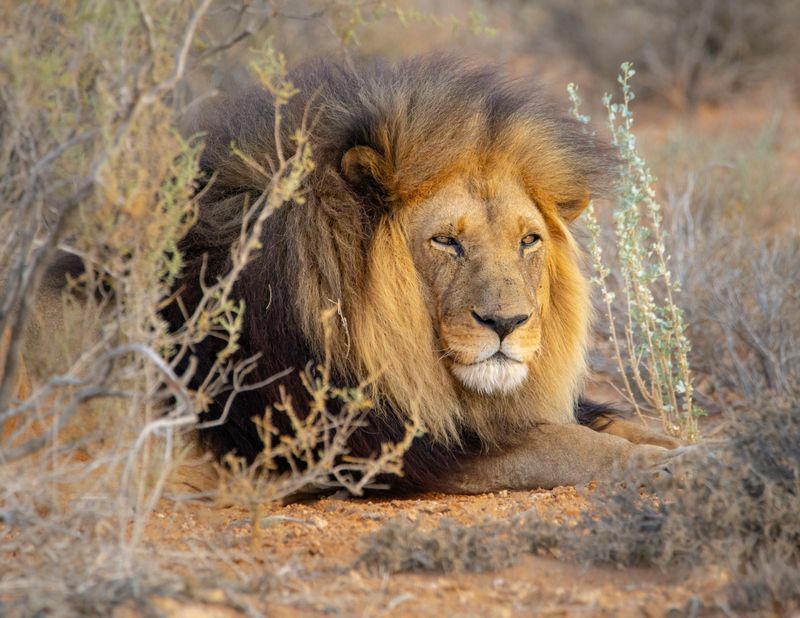 For the majority of travelers South Africa means Kruger National Park, the oldest and most popular park in Africa, which offers high chances of spotting the Big 5 animals. But aside from these animals, other 200 specials of mammals, as well as birds can be observed in the parks. South Africa is the best country to explore on four wheels. You’d be pleased to know that the roads are among the best on the continent. This makes it one of the top choices for travelers who are looking to go on a safari as a family. Self-drive safaris are popular among travelers but driving yourself can get quite tricky at time. The guided jeep tours are a great alternative. Kruger National Park is the most popular park in the country. Many choose to combine a safari here with visiting Cape Town and driving along the Garden Route. Want to learn more about Kruger? 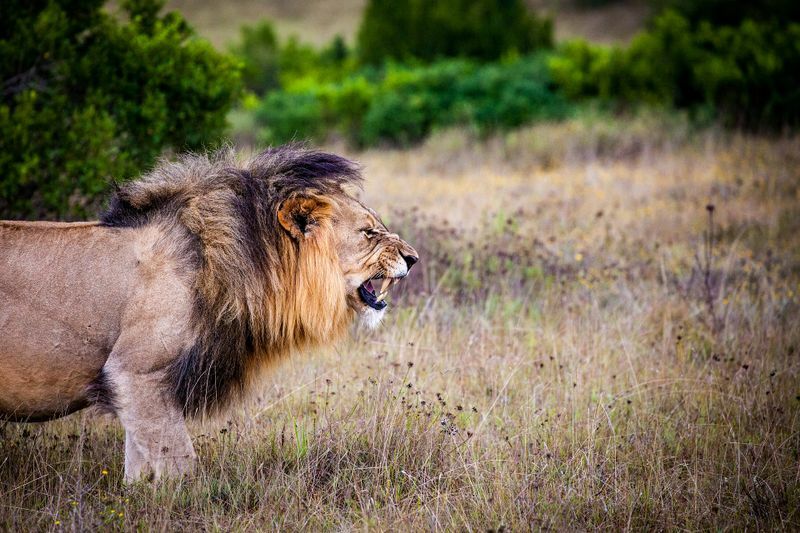 Read our guide to visiting Kruger National Park! 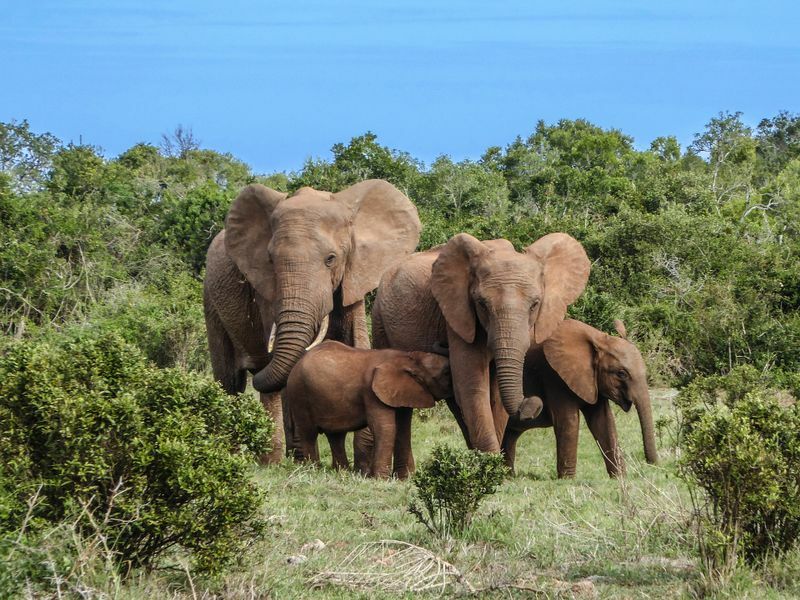 Addo Elephant National Park is located close to Port Elizabeth and is the third in size in the country. The park is home to more than 350 elephants, cape buffalos, black rhinos, lions, hyenas, and antelopes. It is also where the largest population of dung beetle can be found. Table Mountain National Park covers a large section of the Western Cape and includes Boulders Beach where visitors can spend time with a colony of African penguins. It is also where Table Mountain can be found, with its majestic views of Cape Town. We recommend South Africa for: Big 5, traditional safari, self-drive safaris, family travel, first-time visitors, combine the city vibes of trendy Cape Town with a safari. Intrerested to know more about safaris in this incredible country? Read about the top national parks in South Africa! Tanzania is the most popular country to go on a safari. Home to the Great Migration in the Serengeti, the incredible Mt. 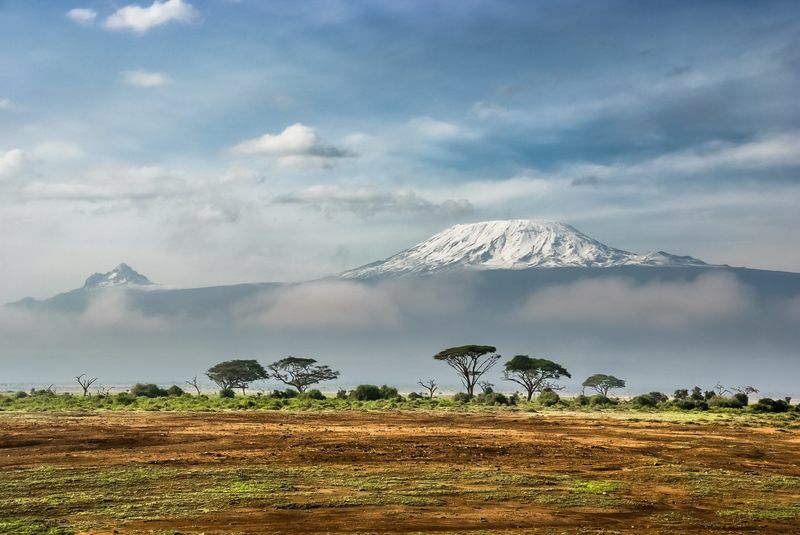 Kilimanjaro, and the Big Five animals, this affordable African country should be on your safari bucket list. Because Tanzania is such a popular destination, the safari options vary from affordable to luxury. Regardless of your budget, you will have a great safari for you. The downside is that affordability also causes a lot more travelers to visit, including those options for a jeep safari, which makes for a rather crowded experience. Serengeti National Park is where you want to go if you want to witness the Great Migration. It comprises all kinds of ecosystems, allowing for a variety of plants, birds, and animals to thrive here. It is the best place to see the predators. Because of the large plain, a popular way to explore the park is by taking an amazing balloon safari. You get to see the Great Migration happening right under your feet. 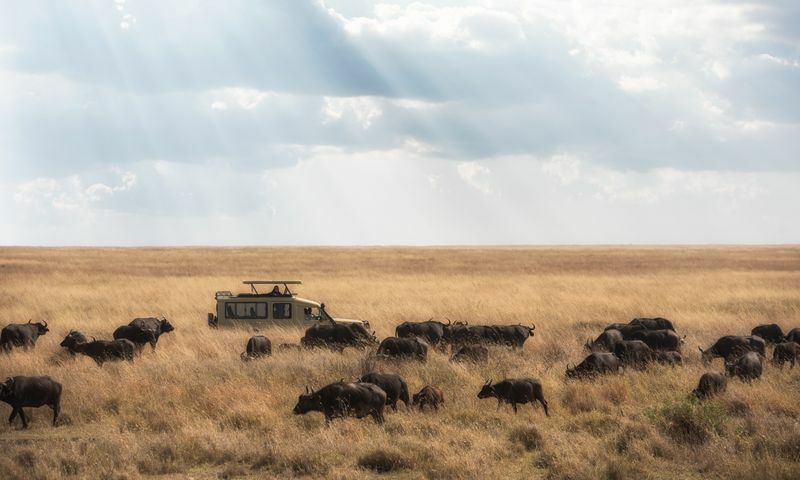 Be aware that the Serengeti gets rather busy during peak season and can feel over-crowded at times. 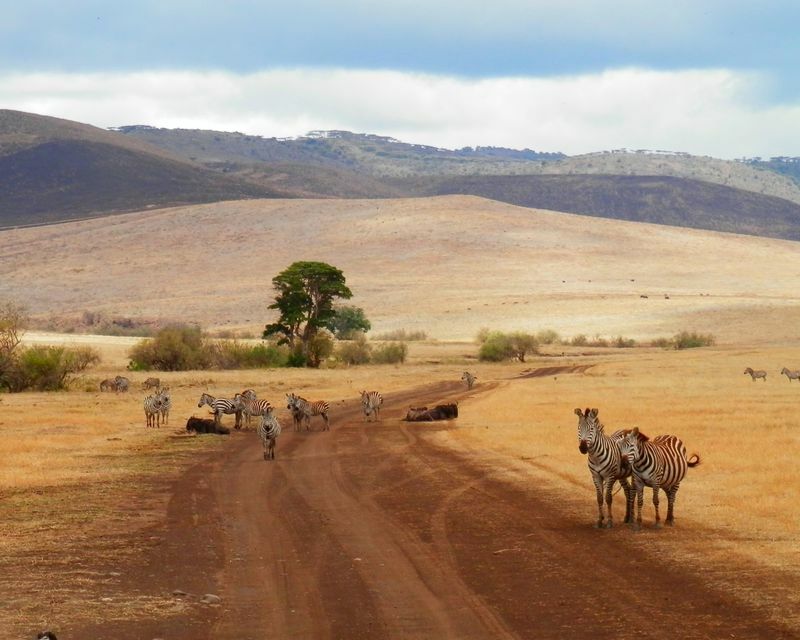 Ngorongoro Crater is home to some of the most exotic species of animals and plants. Thanks to being the world’s largest caldera (volcanic crater), the animals don’t migrate to other areas, which is both a blessing and a curse. What makes the crater so special is that it’s a great place to see the Big 5 and the endangered black rhino in one day, because of its natural enclosure. On the down side, entering the park is rather expensive and it gets over-crowded during the peak season. Want to learn more about safaris in Tanzania? Read about the top national parks to visit in Tanzania! Featuring some of the most beautiful wilderness locations in the world, Botswana is a great choice for a safari any time of the year. Even though Botswana is also home to the popular Big 5 animals, birds, crocodiles, and antelopes, it's not as well-known and popular as other neighboring countries. Therefore, Botswana offers a chance for a more private safari, while spotting the same wildlife. The most exclusive safari destination in Africa, Botswana is also a good place to enjoy self-drive safari. The major advantage of these safaris is the freedom to roam and spend time doing exactly what you please. At night, find a remote camp to settle. After all, Botswana is where you should experience blissful isolation. Chobe National Park is well known for the year-round wildlife and bird viewing. 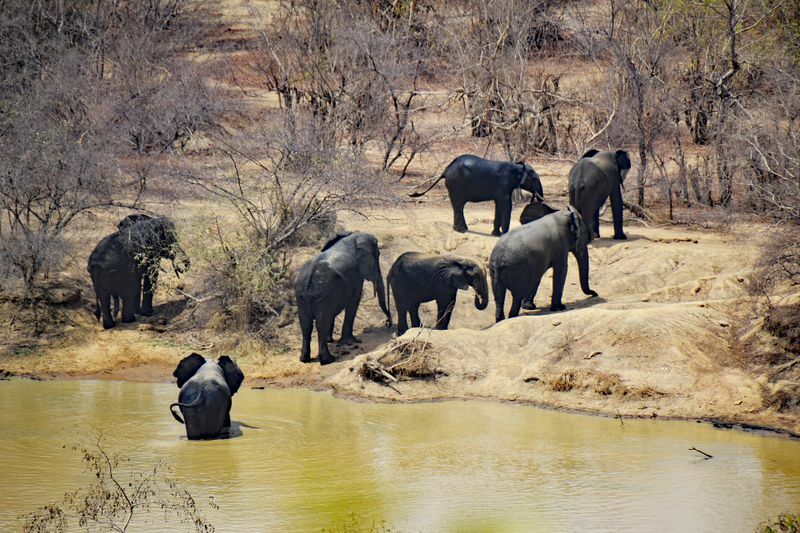 It has the most varied wildlife in the country and is home to one of the highest population of elephants. 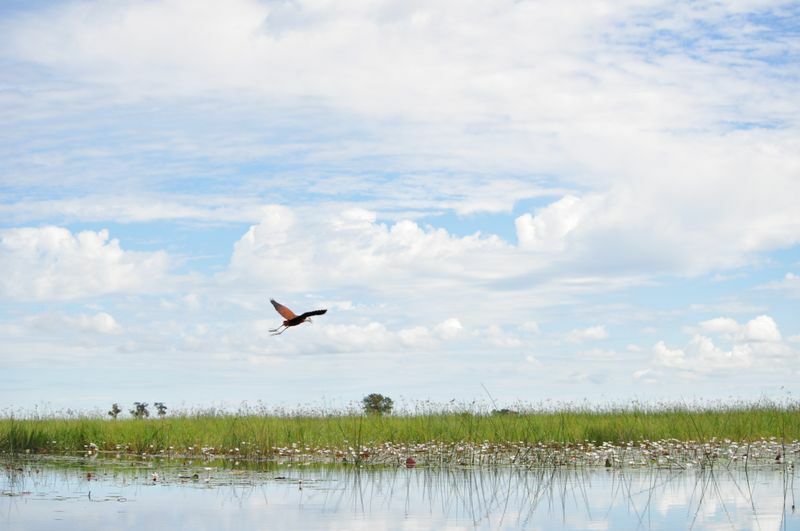 Okavango Delta is also good for game viewing year-round. You can spot hippos, crocodiles, waterbucks and a variety of fish here. At the water’s peak, most of the delta is not accessible to vehicles, but from July to October things change. Kalahari is the largest sand desert on Earth. Strikingly beautiful, it does pose some challenges for drivers, but the rewards are immense. The Boteti River draws wildlife in the dry season. We recommend Botswana for: Big 5, luxury safari, private safari, self-drive safari. Planning to go on a safari in Botwana? Read about the national parks to visit in Botswana! Dubbed as “Africa for beginners”, Ghana cannot compete with traditional safari destinations such as Kenya and South Africa, but it has spectacular things to offer: bird life, turtles, humpback whales, and great snorkeling. If trekking, hiking, walking, and canoe safaris make you tick, then Ghana is perfect for you. Mole National Park is the country’s largest wildlife sanctuary. You can spot elephants, hippos, buffalos, warthogs, and antelopes here. Enjoy walking safari, bird watching or game drives here. Kakum National Park is a tropical rainforest and one of the three places with a canopy walkway in Africa. It is home to rare animals including forest elephants, forest buffalo, civet, and cats. You can also spot antelopes, forest squirrels, tortoises, and birds. Want to learn more about going on a safari in Ghana? Then read about the Top National Parks to visit in Ghana. Uganda is mostly known for the huge population of mountain gorillas that can be found in the forests of Bwindi and Mgahinga. It is also one of the countries that is home to the Big 5 animals, yet still untouched by mass tourism. Here, you still get a lot of value for your money and the trekking permits for observing gorillas are cheaper than in Rwanda. There’s a reason why it’s called gorilla trekking: so expect anything from 15 min walk in the jungle only to spot a gorilla from behind or six hours of trekking with no results. Mountain gorillas are wild animals that cover a wide territory and the guides rely on their trekking skills (and not GPS tags, for example). Keep in mind that the trek is in a jungle so being fairly fit is a good idea if you choose a walking safari. But, it’s all worth it as spotting a gorilla in real life can be a life changing experience. Bwindi Forest National Park is home to mammals, birds, butterflies, frogs, chameleons, and geckos. Nevertheless, what makes this park so special, is that with about 340 mountain gorillas living here, Bwindi inhabits almost half of the world's population of gorillas! For protection of the animals, a permit needs to be obtained to spot the gorillas, so the volume of tourists can be regulated. Unfortunately, this permit is rather expensive, increasing the price of a safari in Uganda. Murchison Falls National Park is where you can spot the Big Five. It is also home to the largest population on Nile crocodile in the country. This is where the explosive Murchison Falls plunges 7 meters down before flowing to Lake Albert. Kibale National Park is one of the most beautiful tropical forests in the country and home to chimpanzees and other wildlife. Kidepo Valley National Park is the most isolated park in Uganda. It is home to buffaloes, elephants, giraffes, and antelopes. A country of outstanding natural beauty, Rwanda is the best place to go on a gorilla and chimp-trekking safari. While the trekking permits are more expensive than in Uganda, Rwanda is perfect for a short safari as the Volcanoes National Park is just 2-hour drive from Kigali International Airport. Compared to the trek in Uganda, the trek in Rwanda is generally less physically demanding. 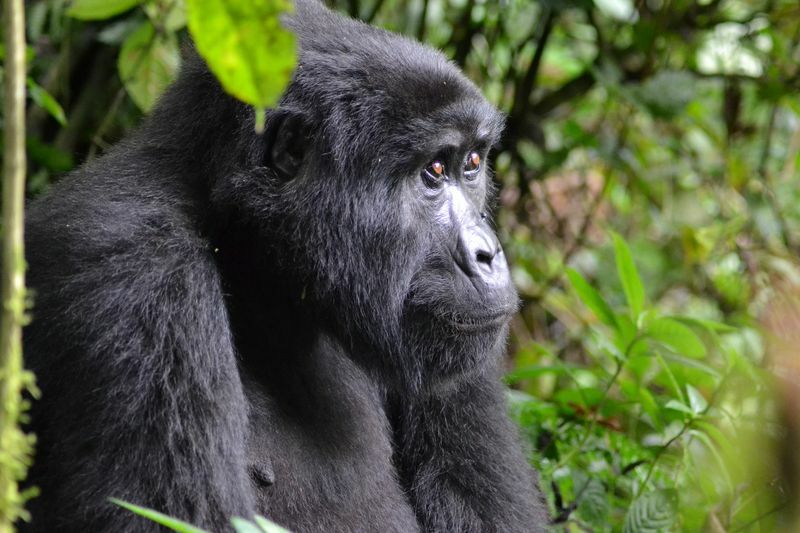 There’s no way to predict where the gorillas will be on a certain day, though, but it’s a good thing to consider if you don’t feel very fit but still want to go on a gorilla trekking safari. There’s also less vegetation than in Uganda’s Bwindi Impenetrable Forest, so the chances to get a good look at the gorillas and snap a good shot are higher. 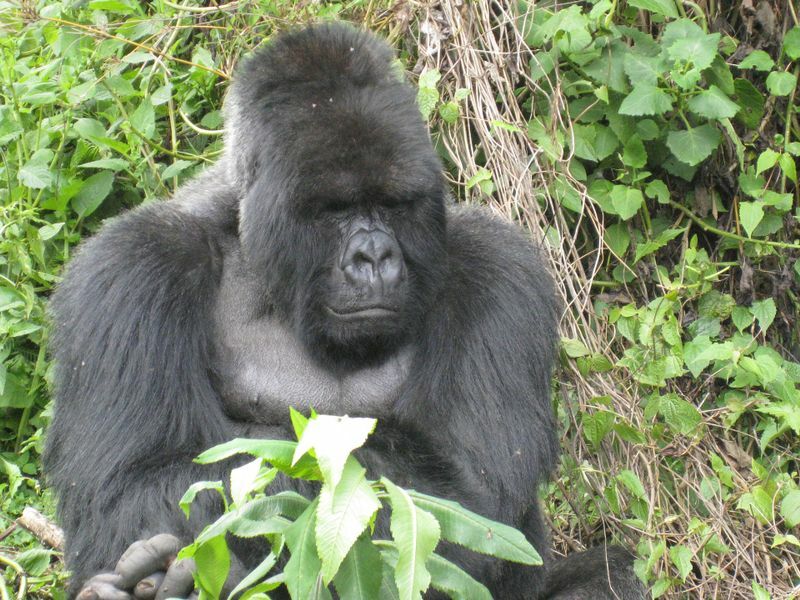 Volcanoes National Park is home to the rare mountain gorillas. Other fauna includes the golden monkey, the black-fronted duiker, the buffalo, and the bushbuck. There are some elephants in the park, too, but they are very rare. Akagera National Park shares a border with Tanzania, making it a perfect choice for a multi-country safari. It is considered one of the most beautiful on the continent. 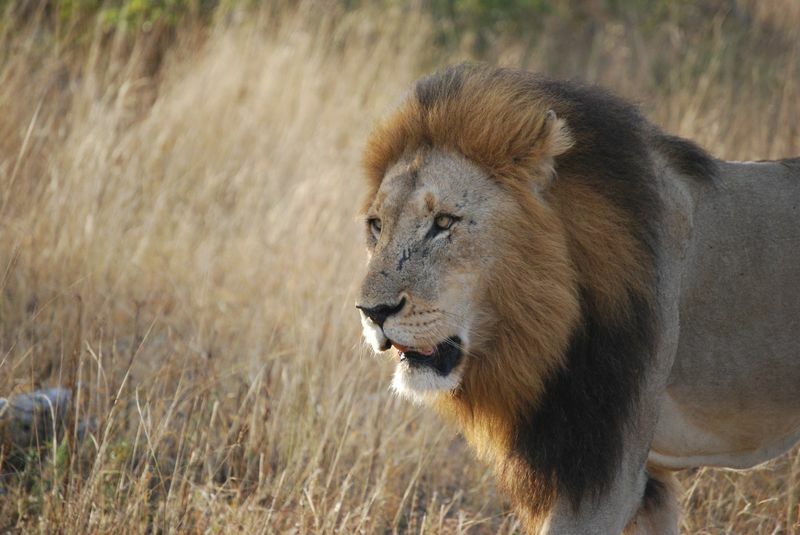 Recently, both black rhinos and lions have been reintroduced to the park. Namibia is best known for the wild and vast landscapes of the Namib desert, impressive wildlife, and strange rock formations. It is a photographer’s dream. The country has everything it needs to be a great choice for a self-drive safari: good roads, epic wildlife, and stunning scenery. The distances you’ll have to cover are huge though, which can be quite challenging. Etosha National Park is the most popular travel destination in Namibia. It is home to impressive wildlife, such as the black and white rhino, elephants, and lions. 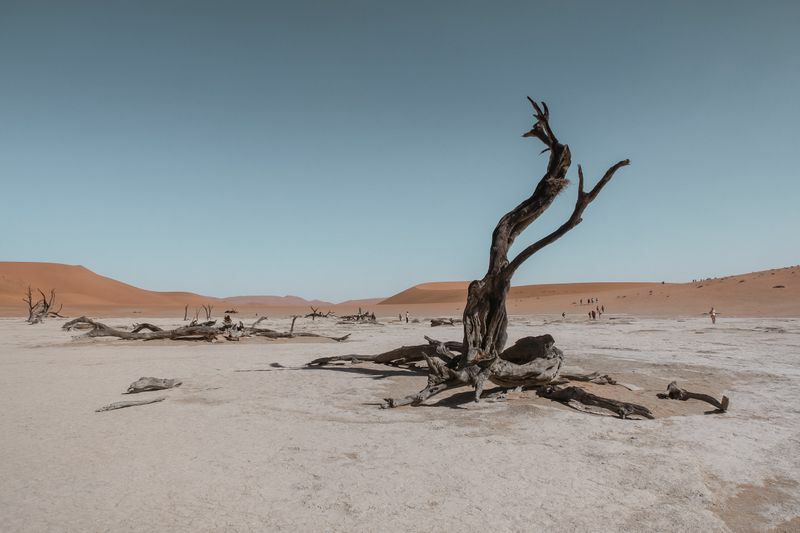 Namib-Naukluft National Park is the largest conservation area in the country. It’s where you can see the towering sand dunes at Sossusvlei. Several shipwrecks are dotted along the coast and there are some abandoned villages to check out, too. Skeleton Coast National Park offers spectacular scenery. Rusting shipwrecks line the coastline making an eerie scene. The coast fog ads to the mystery and weird beauty. The park also offers awesome trekking and the chance to see elephants, lions, and rhinos. Want to go on a safari in this gorgeous country ? Read about the top national countries to visit in Namibia! Looking to experience breathtaking nature and wildlife? Be sure to make your next trip, a safari in Africa!